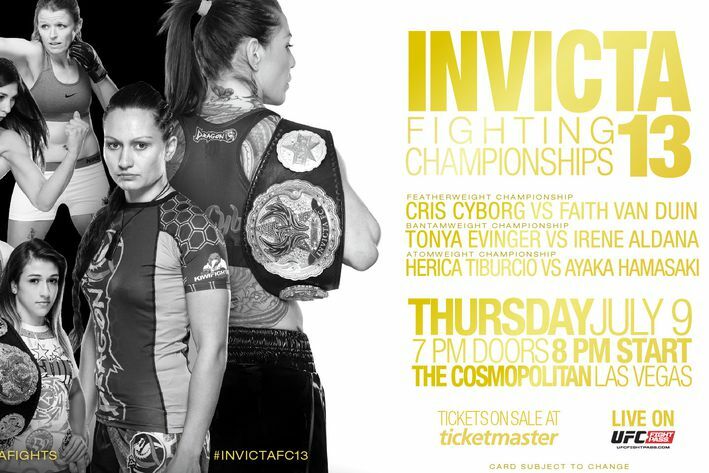 Event: Invicta FC 13: "Cyborg vs. Van Duin"
Cristiane Justino (c) vs. Faith Van Duin -- Cyborg via TKO at 0:45 of R1. Tonya Evinger vs. Irene Aldana -- Evinger via TKO at 4:38 of R4. Herica Tiburcio (c) vs. Ayaka Hamasaki -- 47-48, 48-47, 49-46 SD for Hamasaki. 135 lbs. : Jessica-Rose Clark vs. Pannie Kianzad -- Kianzad via UD, 30-27 X3. 115 lbs. : Amber Brown vs. Catherine Costigan -- Brown via sub (RNC) 3:34 of R1. 125 lbs. : Amy Montenegro vs. Jamie Moyle -- Moyle by SD 29-28 X2, 28-29. 145 lbs. 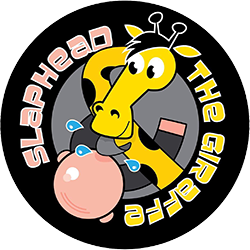 : Amber Leibrock vs. Marina Shafir -- Leibrock by TKO, 0:37 R1. TORONTO, ON – Continuing to empower fitness enthusiasts around the world through its tough fitness approach, Reebok announces today its partnership with Canadian UFC® Welterweight Rory MacDonald, days before he challenges current UFC Welterweight champion Robbie Lawler during UFC 189 on July 11, in Las Vegas, Nevada. The announcement builds upon Reebok’s groundbreaking partnership with UFC, the world’s leading mixed martial arts (MMA) organization, and adds a second Canadian fighter to the brand’s impressive roster of UFC athletes, which includes UFC Women’s Bantamweight Champion Ronda Rousey, UFC Women’s Strawweight Champion Joanna Jędrzejczyk,UFC Featherweight Conor McGregor, UFC Lightweight Anthony Pettis, UFC Welterweight Johny Hendricks, UFC Women’s Strawweight Paige VanZant, UFC Featherweight Yair Rodriguez and fellow Canadian UFC Lightweight Olivier Aubin-Mercier. A former champion and a rising contender have been booked for UFC 192. UFC President Dana White today announced on FOX Sports 1’s “UFC Tonight” that former light-heavyweight champion Rashad Evans (19-3-1 MMA, 14-3-1 UFC) and Ryan Bader (19-4 MMA, 12-4 UFC) have been booked for fall show. UFC 192 takes place Oct. 3 at Toyota Center in Houston. The main card airs on pay-per-view following prelims on FOX Sports 1 and UFC Fight Pass. Evans vs. Bader, which is all but assured a main-card slot, is the first bout announced for the card. If Jose Aldo thought his ribs were hurting, that's nothing compared to the sting his bank account is feeling now. The outspoken UFC featherweight champ has long been a proponent for higher fighter pay. And now, according to UFC President Dana White, Aldo was finally in line to get that big payday he wanted oh-so-badly before a rib injury forced him to pull out of Saturday's UFC 189 main event against arch-nemesis Conor McGregor. White told ESPN's Ryen Russillo. “If he could’ve fought, he would’ve fought." White was then asked how much Aldo stood to make. "Millions of dollars. Yeah, he probably would’ve made close to $4 million." As if having your rib crunched by a spinning kick to the side wasn’t enough, knowing you missed out on a multi-million dollar payday has to have the Brazilian extra salty. Then again, the feud with McGregor has put the featherweight division on the map, despite Aldo’s half-decade reign. If McGregor can get past Chad Mendes in a few days, the anticipation for the stalled Aldo bout will be at a fever pitch. But for Aldo, that surely doesn't take the sting off pulling out of the UFC 189 bout. Aldo found himself in a precarious position: He could've either taken the fight while hurt and risked further injury or potentially a loss; or, he sits out, and is left with sour grapes. Damn, that's alot cash to miss out on if its true. 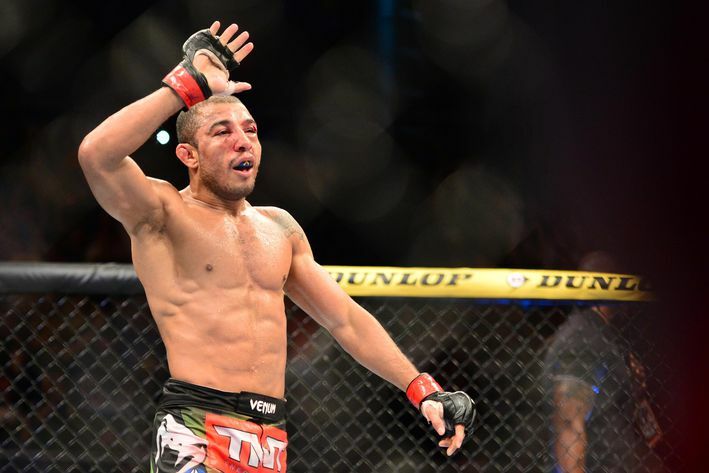 Jose Aldo won't be fighting on Saturday anymore as he suffered a fractured rib a couple of weeks shy of his title defense against Conor McGregor. However, if the champion were healthy, he would be completely cleared to step in the Octagon as all of his pre-fight test results came back negative for all banned substances this Monday, as it was reported by Combate. Aldo, of course, was going to be surprise tested on June 11, but a visa problem with the Nevada Athletic Commission (NAC) agent rendered him unable to perform the procedure, so the test had to be delayed. The following day, the Brazilian Athletic Commission (CABMMA) did all the required urine exams. 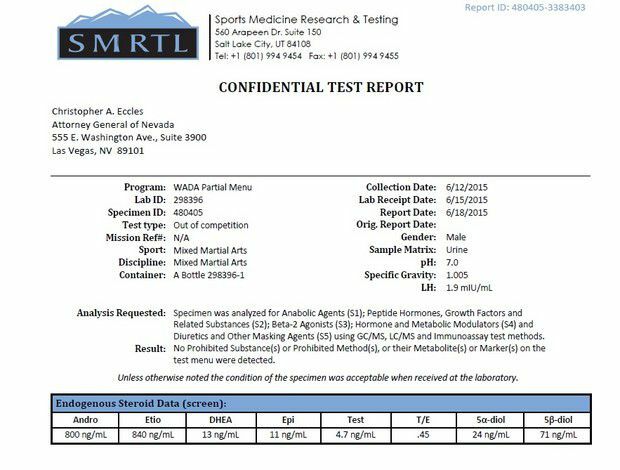 You can see the official lab test results (taken from the same Combate link) in the document below. According to MMA Junkie, the lab results were initially not going to be released until after the McGregor fight, but the rib injury that forced him out of the event meant the information could now go public.